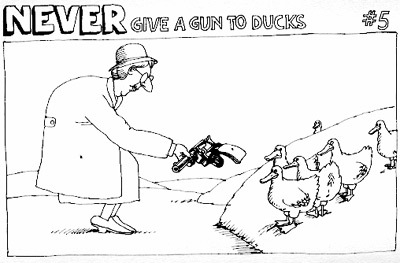 This was a humorous but also interesting article about extremely aggressive specie of ducks, called steamer ducks, that beats up other ducks. I especially liked the comment in the article: "Says Nuechterlein in the paper describing the fight between the steamer and the shoveler: “Possibly observational learning is important, and holding a ‘public beating’ enhances the effectiveness of territorial displays.” And that, my friends, may be the only time “public beating” has ever appeared in a scientific paper." The lifestyle and habits of slugs. And that, my friends, may be the only time “public beating” has ever appeared in a scientific paper." Sen, Atreyee "Surviving Violence, Contesting Victimhood: Communal Politics and the Creation of Child-Men in an Urban Indian Slum" South Asia: Journal of South Asian Studies Volume 34, Issue 2, 2011. Note: Since I routinely inject humour into serious topics, I thought I should go some way to redressing the balance by injecting something serious into a humourous item. The full article is accessible and makes for disturbing reading. Wow. That is disturbing reading. While the steamer ducks made me laugh, I have been thinking about violence and culture lately with the release of another beheading video. It's such an strange feeling to read something like the article above or look at ISIS pictures and feel completely unable to recognize humanity. Like watching some alien world on another planet, wholly unable to imagine what it would be like to think like that or act that way, and to feel that it was normal or reasonable or good to be that way, instead of nightmarish. What a strange and variable species we are. Last edited by DianeG; October 4th, 2014 at 09:19 PM. Good of you to mention this. Aside from your recently 'borrowed' Rodney Dangerfield line about being so ugly at birth that the doctor slapped your mother, I was completely unaware that you had a sense of humor. The methods of Derren Brown can be learned. EUGENICS – Is It Really Bad ?